I pity the author with a book coming out this month because you are, quite honestly, out of luck. All the majors are getting their Best Books of 2011 lists out. No one's paying attention to the new kid. My advice (worth every penny you're paying)? Consider holding off 'til next year. Better yet, wait for the spring thaw. That's when "Best Summer Reads" lists will start popping up like prairie dogs in South Dakota. Get on one of those and you're golden; publish now and you're destined to live in obscurity, tossed aside by New Year's Eve. Personally, I've had a fantastic reading year. I haven't drawn up my list because I've been dreading the necessity of choosing. The year's been just that good. When in doubt, though, I always go with an author's looks. If two books are equally brilliant, and one author's a British or Irish man, chances are the scale tips in his favor. Does the same rule apply to women? Generally not. I am utterly sexist. And awkwardly honest. Little doubt which two books ruled the literary roost this year. 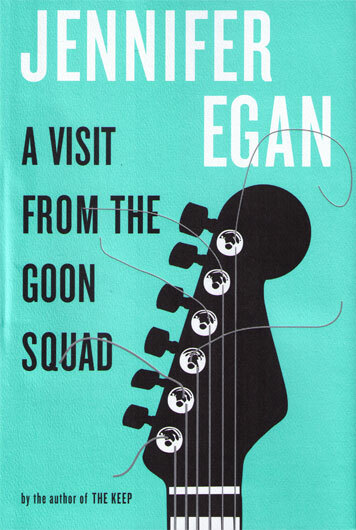 Jennifer Egan's A Visit from the Goon Squad pretty handily steamrolled over the 2011 lot of fiction. And close behind came Téa Obreht's The Tiger's Wife. I read Obréht – and was awed – but for whatever reason avoided Egan. There was a little touch of the "this book is getting way too popular" about it, the sort of phenomenon that builds expectations so high you're afraid you can't help but be disappointed. Subconsciously, that may be why I haven't yet read it. Maybe I'll get to it over the holidays, when I'll have a good, solid two weeks off work. Now that the shine isn't quite so bright, and I've forgotten what was considered so great about it, I may be better able to appreciate its charms. I picked Obréht for the Orange Prize, assuming the panel would go with a newcomer. Otherwise my money was on Emma Donoghue's Room. I was not surprised Obréht beat her out, no offense to her remarkable ability to speak in the voice of a young boy. Impressive, that, if more than a little depressing. I went to Donoghue's author reading when she was touring the States. Normally that would could sway me, but Obreht hit a home run and I knew it. Next comes a subject I'm still feeling a bit prickly about: THE BOOKERS. Still rubs me raw. 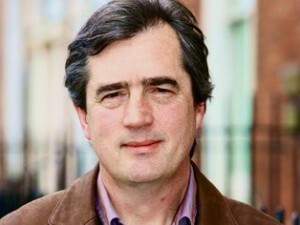 I may have let slip my penchant for Sebastian Barry, the ever so slight preference I had for his On Canaan's Side over the other truly jaw-droppingly wonderful contenders. Then came the moment the shortlist was announced. And where oh where was Mr. Barry? Dunno, but he wasn't on the list. Reader, I was stunned. Stunned and more than a bit outraged, especially after I met him and heard him read. I melted out of my chair onto the floor. Never, outside the theatre, had I experienced such passionate delivery. It sent shivers, it really did. And prickles of tears behind my eyes. Language that beautiful is the stuff of angels. But I was forced to admit to myself then the prize was Julian Barnes's for the taking. I read some of the others, but come on! Did you read The Sense of an Ending? Well, did you? No one with a pulse could fail to be moved by prose like that. Sebastian Barry's the lyrical, poetic Irishman (swoon), but Barnes came through with a tight, concise, soul-touching masterpiece – no single word wasted. I had to come to terms with it: Barnes was flawless. And congratulations to him. So, the Best of 2011 lists. They've been pouring out over the last week or two. In some cases books I'd have staked my life would have made the lists six months earlier have been bumped out the door by other, somewhat surprising choices. In a few instances the titles are completely new to me. In others it's the same old stuff I've been hearing about – and reading – all year. # Two most popular titles overall: There But for the and The Stranger's Child with four votes each (no one listed both). # One listed On Canaan's Side , Two listed The Sense of an Ending (again, no one listed both). # Jonathan Franzen's Freedom got only one vote (snicker), but that was published in 2010. I remember because I wasted many hours reading it the last time we went to Maine. 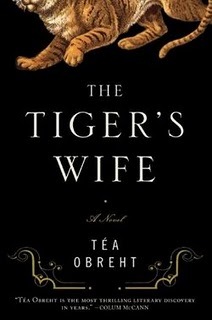 # Four listed Egan's A Visit From the Goon Squad, but only one Téa Obreht's The Tiger's Wife. For the full list go here. Fun stuff. Ah, they've chosen SO MANY! I can't type all these. See them here. I'll only note The Sense of an Ending made the list, but Egan, Obreht and Barry were slighted completely. Give me a break. They've chosen five each: fiction and nonfiction as their overall Top 10, but have listed 100 Notable Books. A little slanted toward Americans, eh? As for the 100 Notables, there's no Jennifer Egan, though Téa Obreht is there. Also, no On Canaan's Side but they gave Julian Barnes's The Sense of an Ending a nod, as well as Alan Hollinghurst's The Stranger's Child. And, as for the nonfiction, I read much less of that but the list's still interesting. Ah, then. There are approximately a gazillion other lists of Bests but I couldn't cover them all. All I'm planning from here is my own Top Ten of 2011 list, which is forthcoming. So many books listed are of interest to me. Others I'll look up, as they sound wonderful. Overall, what's most baffling is how often Alan Hollinghurst's The Stranger's Child is mentioned. I put it down about 1/3 of the way through, finding it a chore (and a bore). Apparently I missed something. Maybe I'll give it another go. Sigh. Still may compile more stats about the yearly wind-up. If I get around to it you'll be the first to know. Now it's time to wait out the posting of favorites listed by bloggers. Anyone else have a list – blogger or no? Would love to hear from you. You should sleep the sleep of the just after doing all this amazing compilation work for the rest of us! Meanwhile, this list only brigns home how terrifyingly behind I’ve gotten on my contemporary reading. To the reading cave! I’m the Queen of Insomnia, unfortunately, though I would love to make like Sleeping Beauty and sleep a couple decades. Then I’d need Sebastian Barry.. err, Prince Charming to wake me. Same with me re: all these books I’ve missed. Seems I’m always reading but I’m nowhere near even recognizing more than half of these! Egads. Once you get your top ten list, I’d like to link it on my blog. Egan makes me yack in my mouth a little. The book was just OK for me. The PowerPoint chapter was the best bit, by far. Still holding out on choosing my best of the year. Might read something awesome soon. I hope. No list from me but pleeeeease read 1Q84 and tell us what you think. I suspect it might be right up your alley Lisa. I have Vol 3 ready &can’t wait to start it. Andi – I wondered this about the Egan. Sometimes a book gets a rave somewhere and others just jump on the bandwagon, to seem hip or whatever. No rush on this one for me! Dina – link away! It’s up and ready.